While doing some research on avocados, I stumbled onto something interesting. In 2009, avocados began increasing in popularity within the United States, and that trend has bubbled over into 2010. This insight comes from Google Trends, which tracks search volume and can show you how certain queries have changed over time. Compared to other agricultural products, the rise of avocado appears unique. 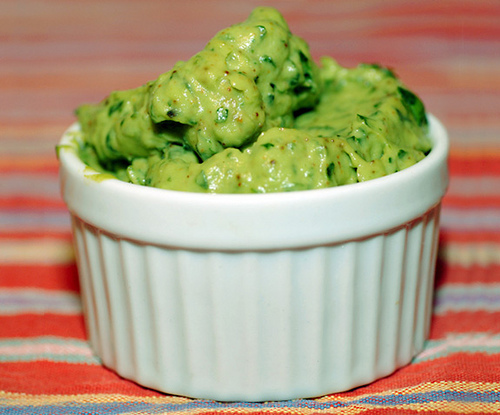 Perhaps Americans are just eating more guacamole. Or maybe Mexican food, on the whole, is more popular (and avocados are riding on the coattail). The search volume increase could also be tied to a 2009 avocado shortage, predicted by the California Avocado Commission. I’m not sure if that shortage actually panned out, but the CAC has a pretty website. Avocados are grown in temperate regions, and most avocados found in the United States come from California and Mexico. You can find both conventional and organic versions of avocados. Conventional avocados will cost $1-2 each and organic avocados about 50% more. They’re definitely NOT a local product, but I don’t mind too much because my avocado use is somewhat rare. 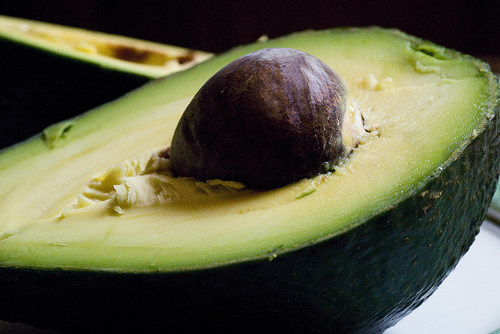 The name, avocado, comes from the Aztec word for testicle. 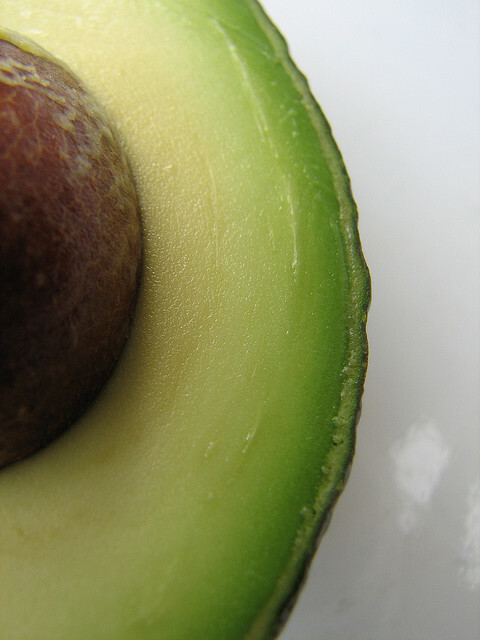 Avocados were locally known as the ‘fertility fruit’. And since this posting has taken an odd turn, let’s finish up with some graphic, raw pictures of avocado.